While we promote better money habits at Refined Currency, we understand that everyone is human and sometimes whether or not we budget we end up coming shorter than expected. As a result of this, we aren’t always able to pay for appropriate bills and instead of ignoring the situation, there are a few ways you can handle it until you can pay your bills. It’s very easy to feel overwhelmed by your current situation when you have not sat down and figured out exactly what you owe. Whether you use a spreadsheet or paper and pen, getting everything down will give you a clearer thought process on where you are and give you the face value of what you owe. Now you know exactly what is going on with your money situation it’s time to prioritise your late bills as not every bill is as important as the next bill owed. 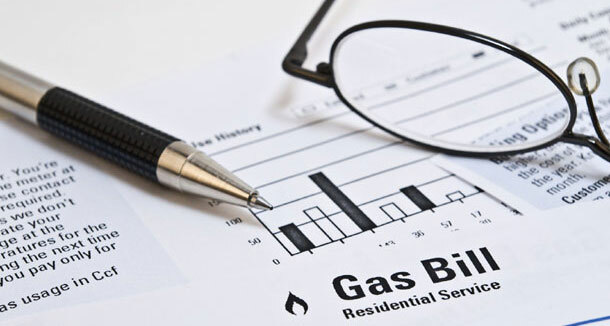 Every month it is vital to list your expenses ensuring that mortgage/rent, electricity, gas & water bills come first. Bills such as TV, phone, clothing should always be treated as a luxury and should be on the bottom of the list. Call or email the billing company and let them know in advance that you won’t be able to make payments on time. Ensure that the person you correspond with has made a note of this on your account and where possible, ask the member of staff to send an email to you confirming your circumstance. Explain that you do intend to pay them as soon as you can so they know you are taking the matter seriously. It’s always worth asking if they can give you a grace period of 2 weeks until you can make your next payment. We only tend to think about where we could have cut costs after we have spent our hard earned money. The key is to think about this beforehand and try to reduce your budget in certain areas such as food, dining out, taking taxis and paying for additional services such as music streaming or a gym membership. Remember that reducing your expenses doesn’t have to be forever but it can be until you get back on your feet and you feel a little more stable about your current situation. Budgeting is not exactly everyone’s favourite thing to do but it can give you a vast amount of peace of mind knowing how much you have in the bank instead of making constant guesses. No budget works if you don’t stick with it and if you continue to ignore the signs that show you you’re going into a state of owing more than you earn. There are many apps available to use to track your daily spending so find one you like and stick with it. Keep notifications on any budget apps you use so it acts as a mental reminder to you whenever you are spending money. If budgeting apps don’t work for you, it may also be worth using the cash envelope system. An avenue that may potentially work for you is increasing your income until you get caught up on your bills. One way you could do this is by selling some unwanted items or by getting a part time job. A part-time job can come from skills you already have such as tutoring or being an assistant (look into being a virtual assistant). You could also see if there is any overtime available at your workplace. You may feel disheartened by your situation but it’s important that you remind yourself as often as you can that you will get better at handling your money and this type of situation won’t occur again. By tracking your spending and budgeting appropriately, you don’t have to be in this situation again. The key factor with being behind on bills is that you don’t become discouraged and you don’t let your current circumstances define you. Over time, you will get better.